Victoria has some of the mildest climates in Canada and a good deal more sun that the rest of the BC Coast. 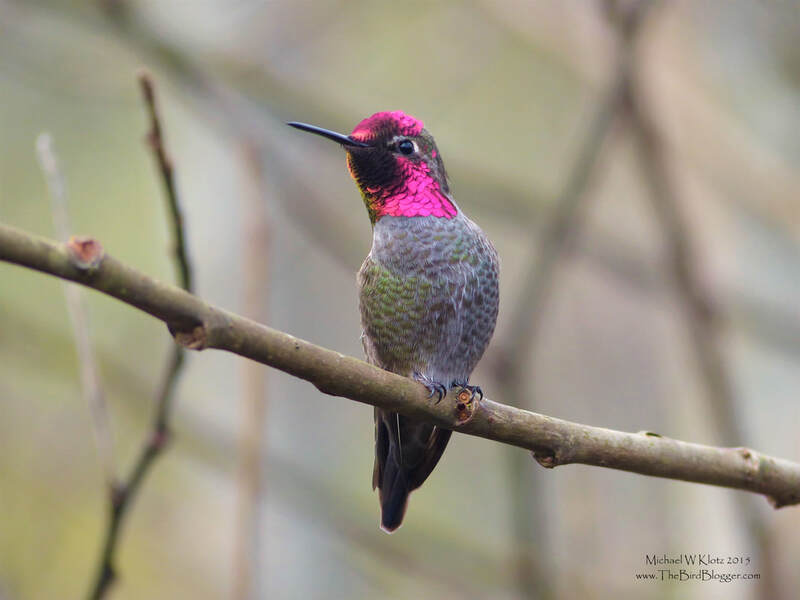 This makes it the perfect spot for Anna's Hummingbirds to winter as they do not migrate south like every other hummingbird that spends the summer in Canada. This male was relaxing in the willows along Peers Creek next to Valley View Rd. when a noise caught his attention. The angle that he held is head caught the light nicely and lit up his gorget .